Andy McKee was the first artist signed by guitar virtuoso Tommy Emmanuel on his new record label. 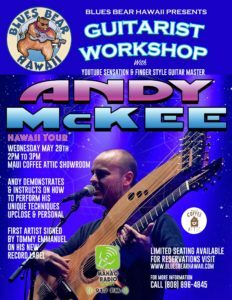 In this one-of-a-kind workshop, Andy will demonstrate and instruct on how to perform his unique techniques up-close and personal. A portion of each ticket will be donated to Mana’o Radio! Limited seating available. 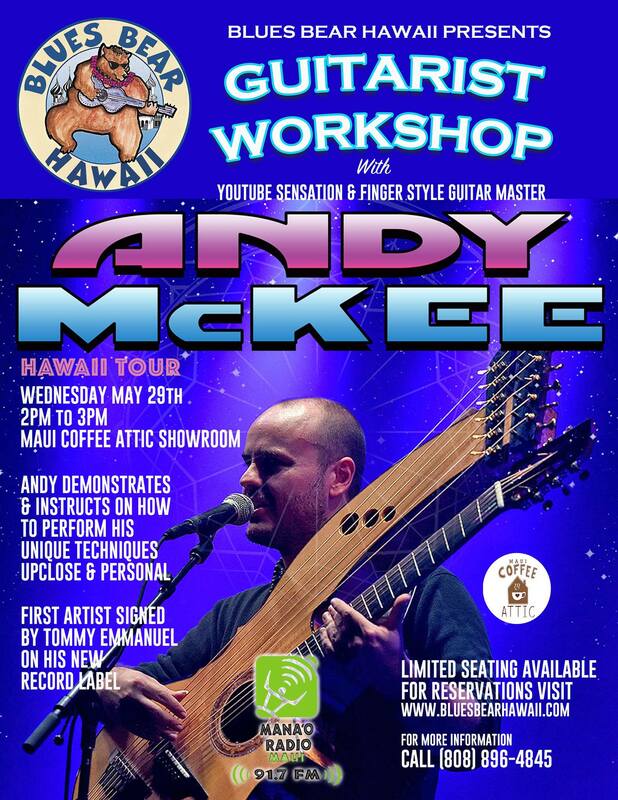 For reservations visit www.bluesbearhawaii.com or call 808-896-4845. Find all our playlists on Spinitron.